Nestling beneath the old stone bridge in Halfway House, and set against a background of historical buildings, Jack Meade’s Bar and Beer Garden offers the perfect respite from the hectic pace of everyday life. 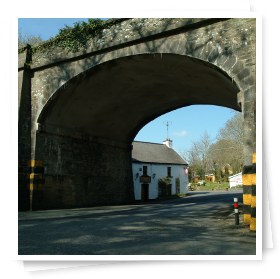 Even though it’s a mere 4 miles from Waterford City centre, it is situated in the heart of farmland and woodland area. Its proximity to Faithlegg Golf Course, Waterford Castle Golf Course, Woodstown beach and Passage East car ferry make it a very popular destination for both locals and visitors. The pub dates back to 1705 and has been in the present family since 1857. While having up to date facilities its old character has been retained. However, 300 years later a whole new dimension was added with our bar and beer garden. 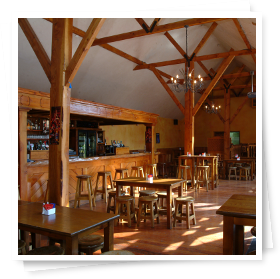 The large indoor bar and extensive beer garden is suitable for everyone with barbecue, restrooms, baby changing facilities and of course our playground and pet farm area for kids too. The extensive grounds are a combination of heritage and environmental harmony. 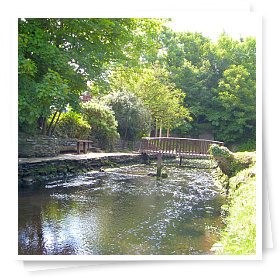 The old ice house and the lime kiln have been restored and a walk has been created along the tidal stream around the perimeter of the grounds back to the old agricultural museum, which takes you back to the days of the working horse. We pride ourselves on having something on offer for all ages and to suit every occasion.